Hello. 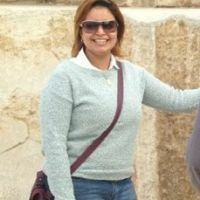 I am Rasha *****, a freelance tour guide/Egyptologist since 2001 with 15 years' experience in the field of tourism, and a degree from Cairo University. 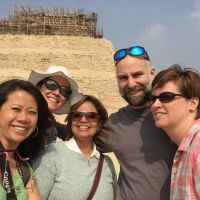 I'm a member of WFTGA (World Federation of Tourist Guides Associations) and a member of EGTGS (Egyptian General Tourist Guides Syndicate) and can custom design trips all over Egypt to suit the interests and the needs of guests. Prices are very affordable and can be tailored to suit all budgets. I also arrange customized tours for individuals and groups throughout Egypt, all tours being provided in air-conditioned modern, comfortable vehicles. Egypt is full of hidden treasures! It is not only the ancient pyramids, but its streets, its people, the feeling of walking on the bank of the Nile at night, the Islamic and the Coptic parts, in addition to its monuments and museums. It wold be my pleasure to show the visitors the charm of every part of modern and ancient Egypt. I offer tailor-made trips all over Egypt in order to suit the interests and the needs of my guests with affordable prices to suit all budgets. I know that your leisure time is important to you, therefore I designed tours to ensure that you have all the time you need at each attraction, so you can fully appreciate it and enjoy your experience. I would like to show people my country in affordable way, i love to make friends from all over the wold and that would make my life way bigger. 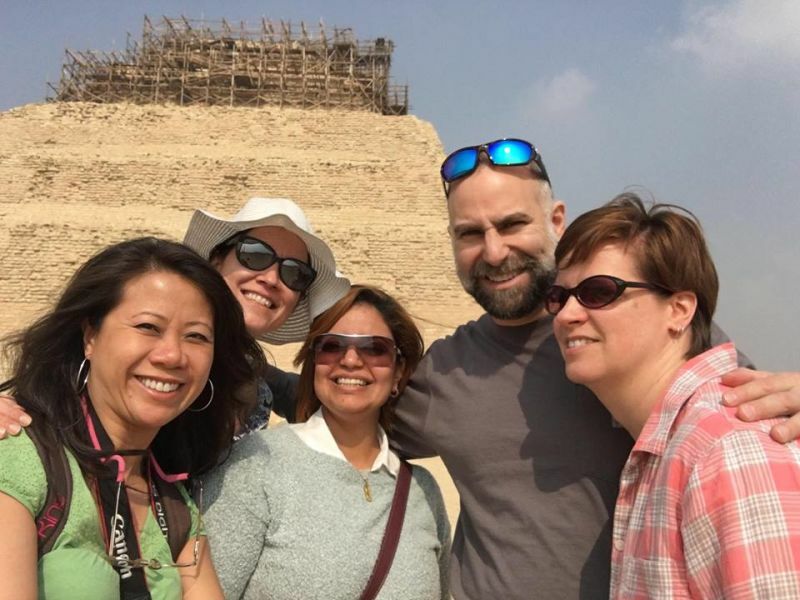 Giza Pyramids, Memphis and Saqqara tour. TOUR: Giza Pyramids, Memphis and Saqqara tour. 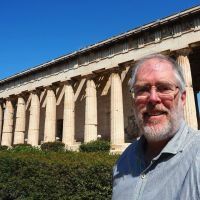 I was taken to a number of very interesting places besides the Great Pyramids. Memphis and Saqqara are amazing. I would highly recommend Rasha and her tour guides for any trip to Cairo.